We asked you to show us your Challenger. You didn't let us down. Challenger takes pride in crafting automotive lifts to the highest standards in Louisville, Kentucky. We offer service solutions ranging in capacity from 6,000 lbs. to 148,000 lbs., each designed with key productivity features to help you reach your full potential. Challenger’s electric hydraulic cassette-style inground EV series lifts meet the rigorous demands of professional service facilities. Available in 10,000, 12,000 and exclusive 15,000 lb. lifting capacity. Whether you're constructing a new facility or outfitting an existing building, we have an installation application to fit your needs. 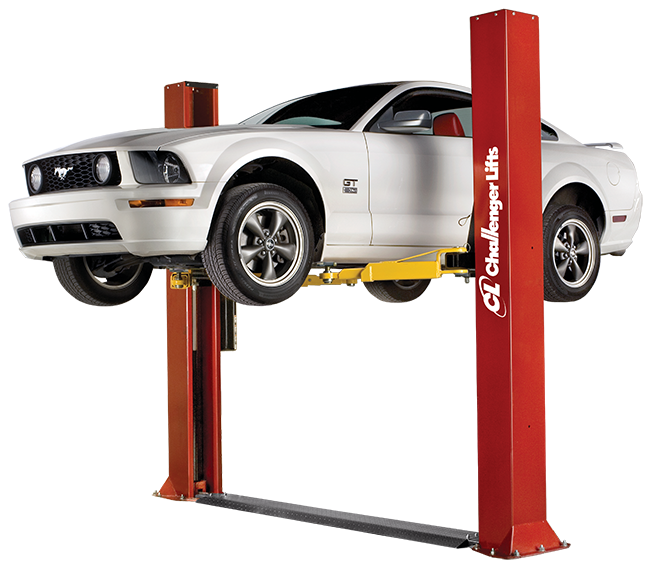 Challenger’s 4-post lifts deliver everything you need to expand your shop’s offering to commercial service. With capacities from 12,000 lbs. to 60,000 lbs. and a low approach angle, Challenger’s 4-post lifts offer the widest array of service opportunities in the market. Choose between productivity configurations to meet your shop’s unique specifications and needs. For 4-post lift pricing information, contact a representative. Challenger Lifts DX77 7,700 lb. capacity scissor lift was engineered with efficiency and productivity in mind. Our scissor lift can easily lift all makes and models (within rated capacity) with synchronized hydraulic system. Diamond-plate locking approach ramps allow the platform to extend to accommodate longer wheelbase vehicles. 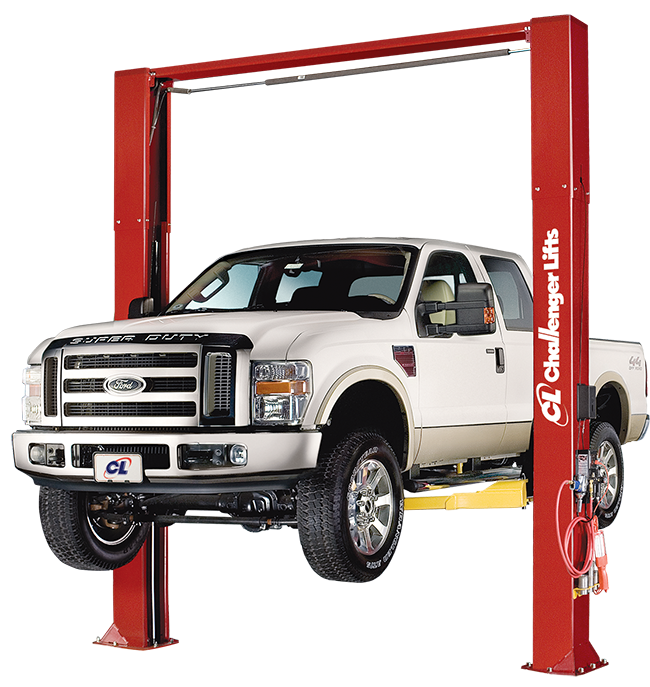 Challenger's mobile column lifts provide the flexibility and convenience to lift any rubber-tired vehicle, from small passenger cars to the largest 2- and 3-axle vehicles up to 148,000 lbs. without pits, wires, cables or compressed air. If you're looking for convenience and ease-of-use, mobile lifts are right for you. Quick service work has never been easier with Challenger Lifts' short rise lift and mid rise lift. A short rise or mid rise lift is perfect for brake and tire servicing needs. Each features dual cylinders and a powder coat finish for long-lasting durability. Challenger’s CL4P7 7,000 lb. capacity and CL4P9 9,000 lb. capacity 4-post lift were designed with versatility in mind. From home enthusiast and commercial storage applications to light duty general service applications, these lifts complement your service needs and are loaded with real benefits. They are essential for the “do it yourself” home garage, providing the best of both worlds — store a vehicle up top and below with up to 80” of clearance when the lift is fully raised, or use this lift to service your vehicles. Established in 1992, Versymmetric® technology is responsible for the original two-in-one car lift. Versymmetric® lifts safely accommodate vehicles with a symmetric or an asymmetric center of gravity with heavy-duty columns and arms that will make certain your business can reach its full yield potential.